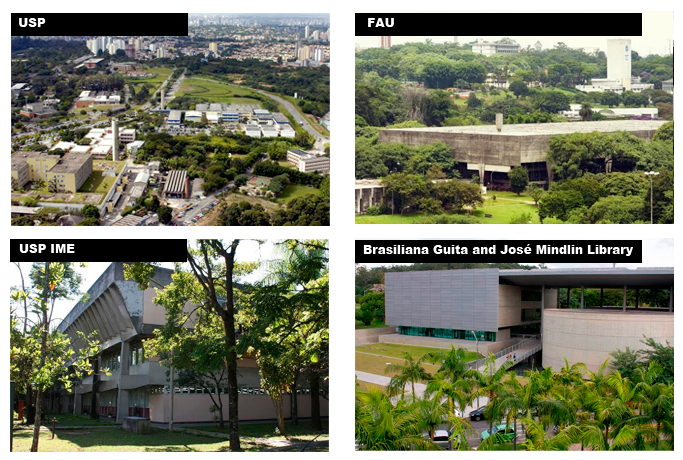 The X-Meeting/BSB 2015 will be held at the University of São Paulo. São Paulo is a municipality, metropolis and global city located in southeastern Brazil, which also includes the states of Rio de Janeiro, Minas Gerais and Espirito Santo. It is the most populous city in Brazil, in the Americas, and the world's twelfth largest city by population. São Paulo is the capital of the state of São Paulo, Brazil's most populous and wealthiest state. It exerts strong regional influence in commerce, finance, arts and entertainment and a strong international influence. The state's natural vocation is tourism business in its various possibilities (congresses, conventions, seminars, trade fairs, travel representation, shopping, and others) not only in the capital, but in several municipalities, such as Campinas, Ribeirão Preto and São José do Rio Preto. About 80% of the major events that happen in Brazil occur in the State of São Paulo. Various cultural and sports events also attract millions of tourists to the state such as the Grand Prix Brazil Formula One, the Barretos Rodeo, the Winter Festival of Campos do Jordão and the Flowers and Strawberries Fest in Atibaia. The sun and beach tourism is important in attracting tourist flows, since from the five most visited tourist cities mentioned above four are beach destinations. It is interesting to note that the sun and beach tourism is not confined to the coast of the state. Along the Tietê-Paraná waterway, hundreds of inland lakes and beaches attract millions of tourists for sun and beach, and also fishing. São Paulo accounts for 43.8% of revenue from tourism in Brazil and about 80% of Brazil’s largest fairs and events take place in the São Paulo. Nearly 20% of all the remnant of Atlantic Forest in Brazil is in the State. Figures of São Paulo State: Area (km²) - 248.209,43 | Population in 2009 - 41.633.802 | Number of Cities: 645 | GDP: 31% of Brazil’s economic production |About 3 million immigrants from 70 nationalities | 36 airports and 36 million passengers per year | The largest passenger airport in Latin America.